Is QNet a Scam or a Home Business Opportunity? If you live in the Middle East, Asia, or West Africa, you’ve heard about QNet or someone that’s into QNet. Maybe you’ve been invited by someone to attend a QNet workshop and you were reassured that it was a life-changing opportunity not to miss. My spouse and I have been there. We were dragged by a friend into the QNet business with the hope that we were going to make “big” money. He made us visit a few friends of his, both consultants at tertiary hospitals. Our initial thought was “If well-paid consultant doctors were getting into QNet, then the opportunity must be “huge”. Little did we know how we know we could be wrong. QNet is advised as a direct selling company as you can see in the official video below. The company has been around for many years, and although it has its headquarters in Hong Kong, it mainly carries out its operations in the Middle East and some African countries. It was also very popular in India, but it was banned after many people filed complaints. 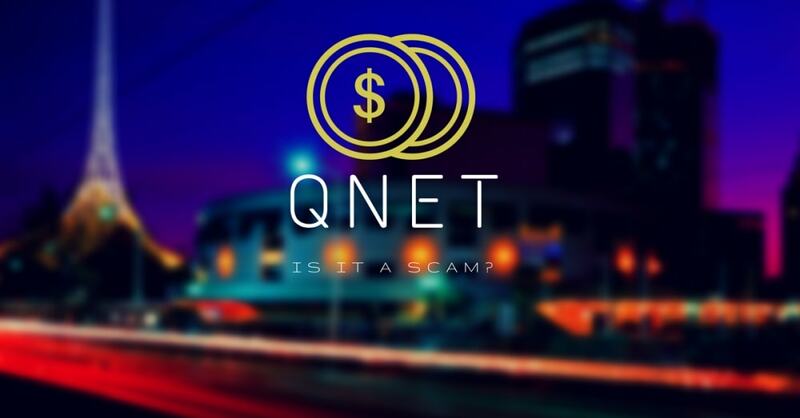 In fact, some unscrupulous QNet independent representatives scammed potential sellers/customers and falsely promised them jobs with the company. QNet uses a multi-level marketing model to recruit customers and independent representatives. These independent representatives are compensated when they refer customers to buy QNet products or services. They are compensated based on the number of sales that they drive and have to refer downlines in a binary manner. If you decide to become an independent representative of the company, you pay $10 for a starter kit and a virtual office. When you refer two persons who also decide to become independent representatives, they are your “Right” and “Left” downlines. But wait! You won’t make money from their purchase. Not yet. You need two more downlines under your Right downline and two under your Left downline. In total, you need six persons to join as your downlines (three to the right and three to the left) to earn $250. Your downlines should also recruit new independent representatives in a binary manner so that you can earn commissions. Although the company describes its business model as multi-level marketing, many governments have described it as a pyramid scheme. Note that there is a thin line between multi-level marketing and a Ponzi scheme. A multi-level marketing provides real products for sale, whereas Ponzi schemes do not. In fact, in Ponzi schemes, no product or service is offered. You are instead encouraged to invest money to get paid back with a much greater reward. In my honest opinion, no, it isn’t a scam. Why? My spouse and I have personally used a QNet product. When we signed up as independent representatives, my husband suggested that one of us should order one of their products. We bought a device that permitted us to make VOIP calls. Although we were more interested in the Amezcua Chi pendant and Amezcua Bio Disc (also called BioDisc in short), we were not willing to invest because we were afraid we might not succeed to refer customers to join the business. I’m not the type of person who believes in the concept of a pendant that improves harmony and energy levels, but I did witness a demonstration with the Chi pendant. I must admit it was fascinating. My spouse and I as well as two other persons were asked to carry a sitting woman using only two of our fingers. Two persons, one to the left and the other to the right, had to place two fingers beneath the lady’s underarms; the other two had to place two fingers beneath her knee folds. We had to lift her from the chair. Of course, we tried and failed. Next, the QNet ambassador placed four glasses of water on a table and made circular movements around the glasses with the pendant. We all drank the water from the glasses and attempted to carry the lady again. Like magic, we lifted her well above the chair and she screamed in surprise. I don’t how the science behind this, but I can tell you that my fingers hurt so badly from the lifting later during the day….just to demonstrate that the Chi pendant can help an individual recharge their batteries and improve their energy levels! My husband and I were never able to refer anyone to join the business. In fact, we felt like we were nagging friends and family members to join a business did not believe would work. Every person that I talked to about the business was skeptical. Most of them had similar views about what a business constituted: a store with physical products and not a virtual office somewhere in cyberspace. After our accounts became inactive after some time, we lost access to our virtual office. The friend who introduced us to the business encouraged us to give it another try under the condition that he was going to help us get referrals. We paid $20 again (for two accounts); however, until the first time, we didn’t buy a product. Why? We were still skeptical and had every right to be. Our friend never got those referrals as promised. He tried, but it was hard to get anyone to join and buy a product. QNet offers many amazing products, but the problem with this business model is that as the number of persons who become independent representatives increases, it becomes harder or impossible to find more irrespectively to join. The greatest losers are those join late. They may not be able to earn enough to cover their initial expenses and the model collapses. This is the reason why some governments have described the company as operating via a Ponzi scheme. 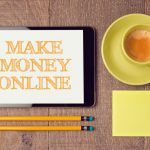 There are many legit ways of making income passively from the comfort of your home. 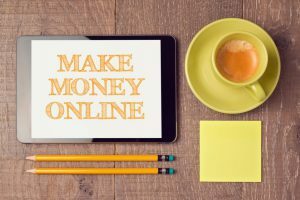 The main challenge is finding a program that teaches you an ethical way of growing a business that generates passive income month after month. Since finding a platform that taught me everything I needed to build my online business, I have never looked back. One of the best things about this business is that you do not need to be a licensed expert to have your own online business…even if you live in Dubai, Sharjah, or anywhere else on Earth. If you have experience in cooking and grilling, you create a website where you teach people how to master the grill. You can also promote grilling products grilling products such as grilling gloves, meat thermometers for grilling and smoking, as well as ovens, etc. Are Ready-Made Niche Websites Worth It?